9 - pictures printed on printed treasures 8" x 11"
Approx. Size 64" x 64"
Sashing - cut sixty sections 1" x 10 1/2"
1 1/4 yards for sashing and binding - cut binding on bias to accomodate curves. 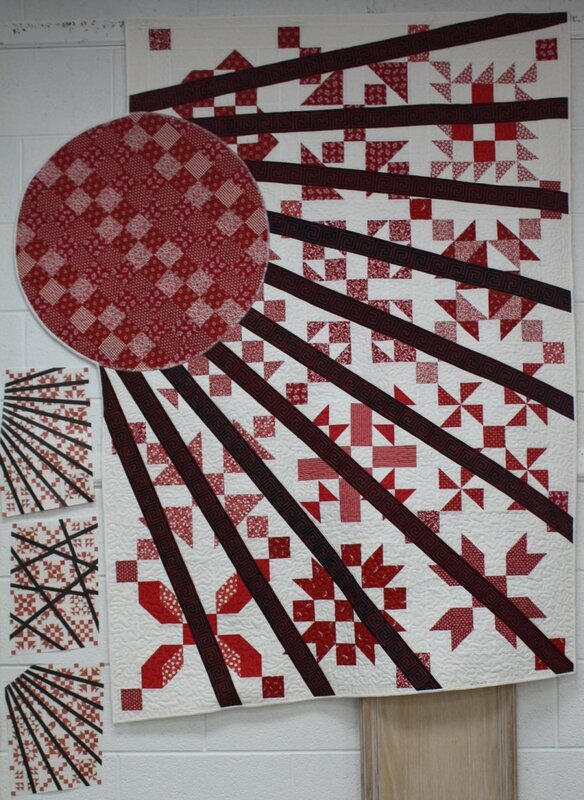 Trace wave on before quilting. 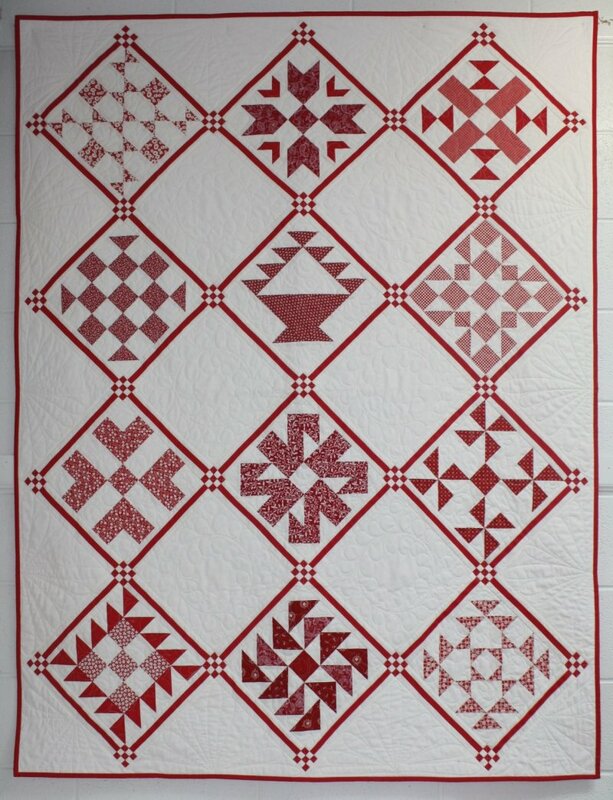 Leave space between tracing line and edge of border for quilter to attach to machine. I left about 1" extra. Approx. 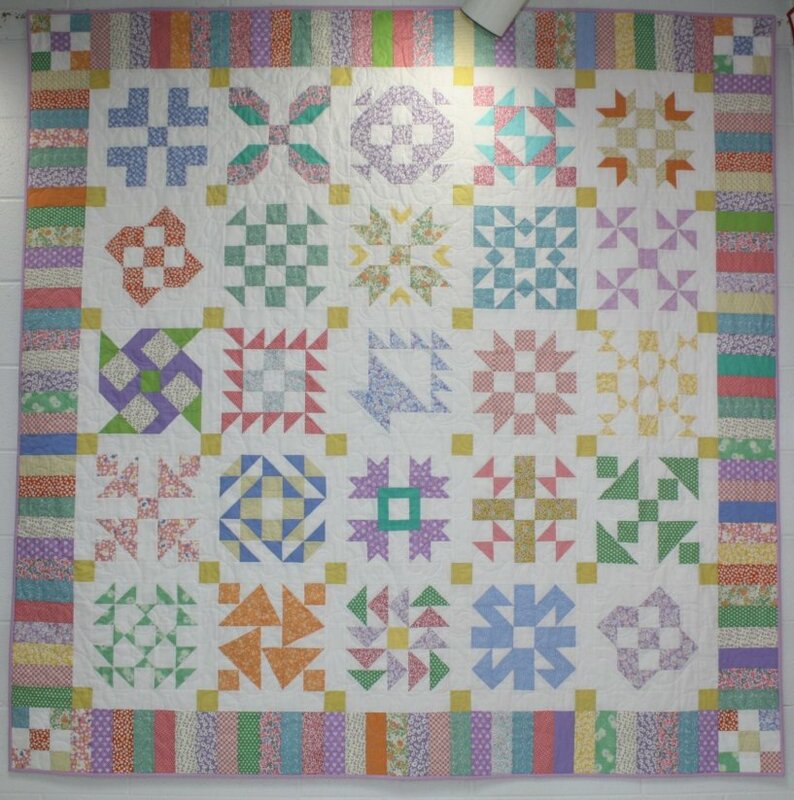 Size 74" x 74"
Approx. 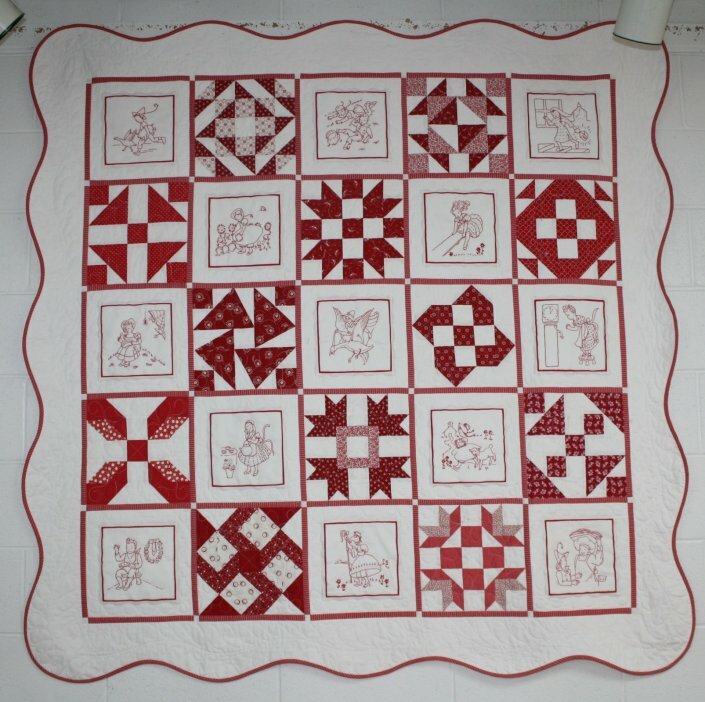 Size 54" x 70"
twenty red and forty white strips 1" x 42". Strip piece sashing strips white, red, white. of these segments for this layout. patch centers cut into 1" segments. Piece nine patches together. You will need thirty two. for a float at edges. You will use ten. 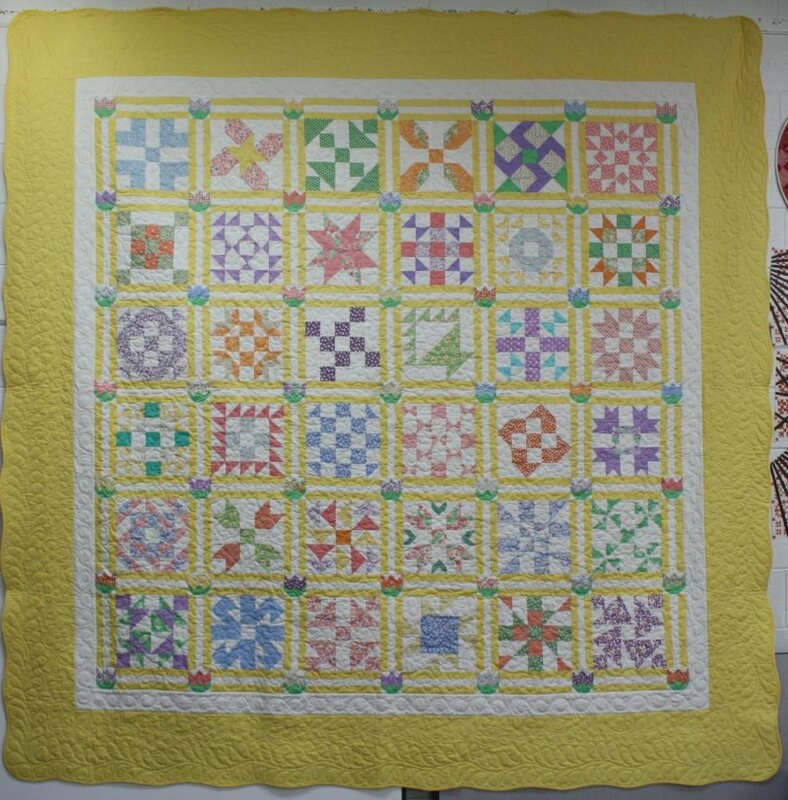 Two 12" squares cut once diagonally. Makes four. 1 yard red for sashing and binding. Sometimes the journey is more fun than the destination! Approx. 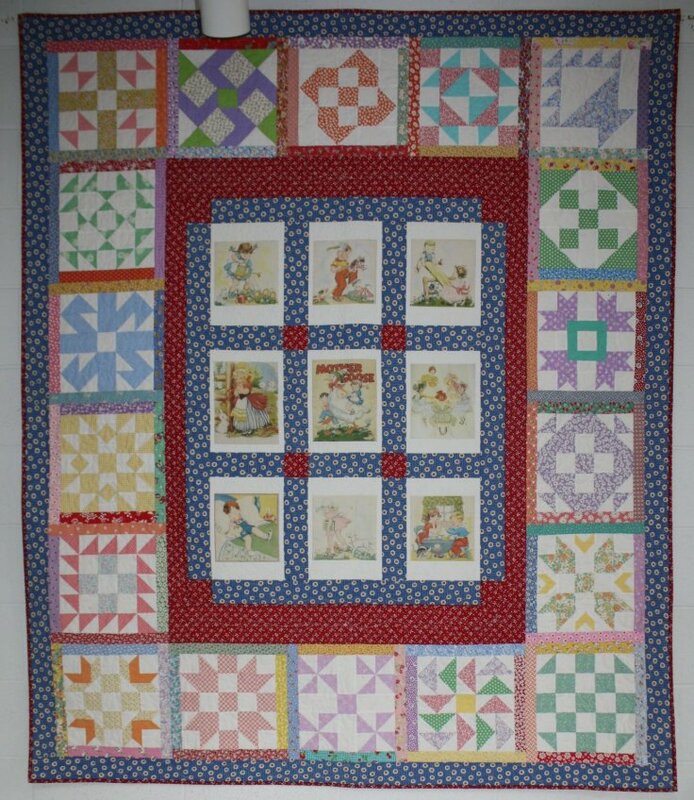 Size 85" x 101"
This layout uses 20 blocks and each block is framed. 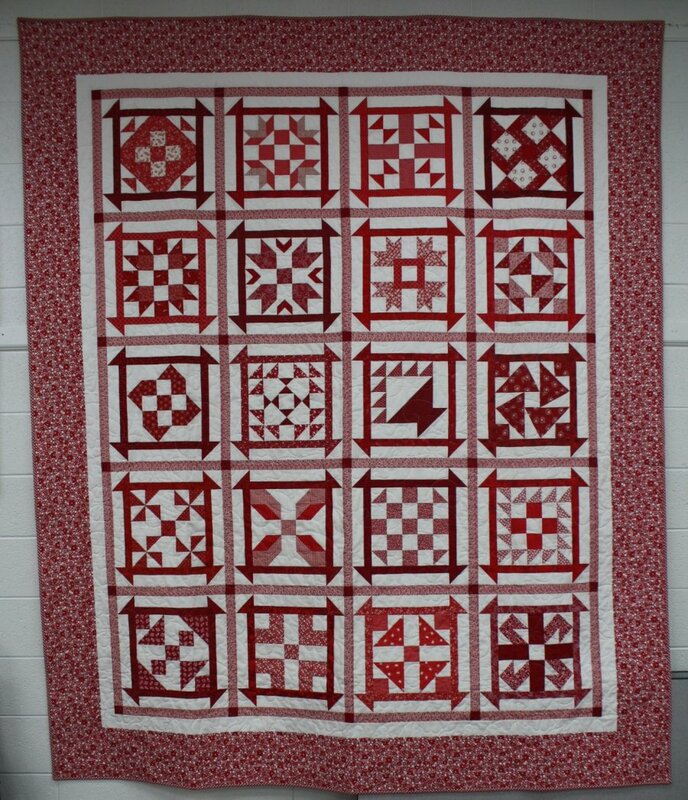 piece one red and one white 10 1/2" rectangles together along long edge (make four), add these to each side of the block, next add half square triangles to the other two rectangle segments and piece these to the top and bottom of the block. and two 2 1/2" x 70 3/4" for top and bottom. and two 7 1/2" x 84 3/4" for top and bottom.